I currently teach 10th -12th grade but I've also taught 9th graders and middle school, and really, there is very little difference between a 10th grader and an 8th grader. Let me set the scene. It's a warm spring afternoon 30 minutes before the bell. The flowers are in bloom, the windows are open, and you're trying to deliver a mini-lecture (poor-planning at the end of the day, but, hey, sometimes you just have to do it). Students are surreptitiously glancing at their laps (hmmm...surely they're not texting), looking at the clock, and waiting for you to turn around so they can throw an eraser at a classmate. At that very moment, the groundskeeper decides to prune the hedges right outside your window with a noisy electric clipper. Heads whip toward the window. Then one student, followed by another, and yet another, gets up to check it out. The students look at you like you're speaking Latin. Then they start with the excuses. By the time they sit back down and you have their attention (sort of), the afternoon announcements begin. So, tell me, did this scene take place in a high school or a middle school classroom? It's happened to me in both. It's nearly impossible to stop scenes like this during the last six weeks of school, but who wants to put up with them for thirty days? 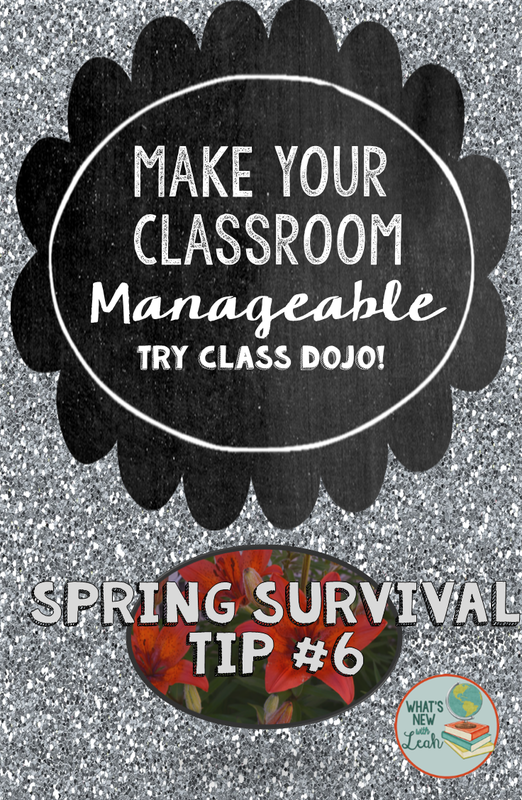 Spring survival Tip # 6: Make Your Classroom Manageable with Class Dojo. I don't see my seniors going for this, but sophomores and under...definitely. You can also send individual and group messages to parents and generate and print student progress in Exel. 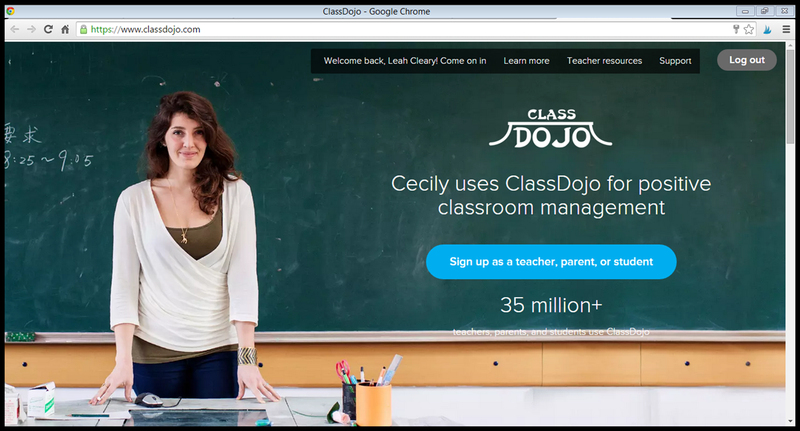 Class Dojo is a good tool for tracking data and holding students accountable--especially at the end of the year. Think about it--There can be individual and class rewards for a certain number of points earned at the end of the week. It's something fun for them to work for. And it might just compel them to pay attention in the process. How do you make your classroom manageable toward the end of the year? Leave a comment below to let me know!